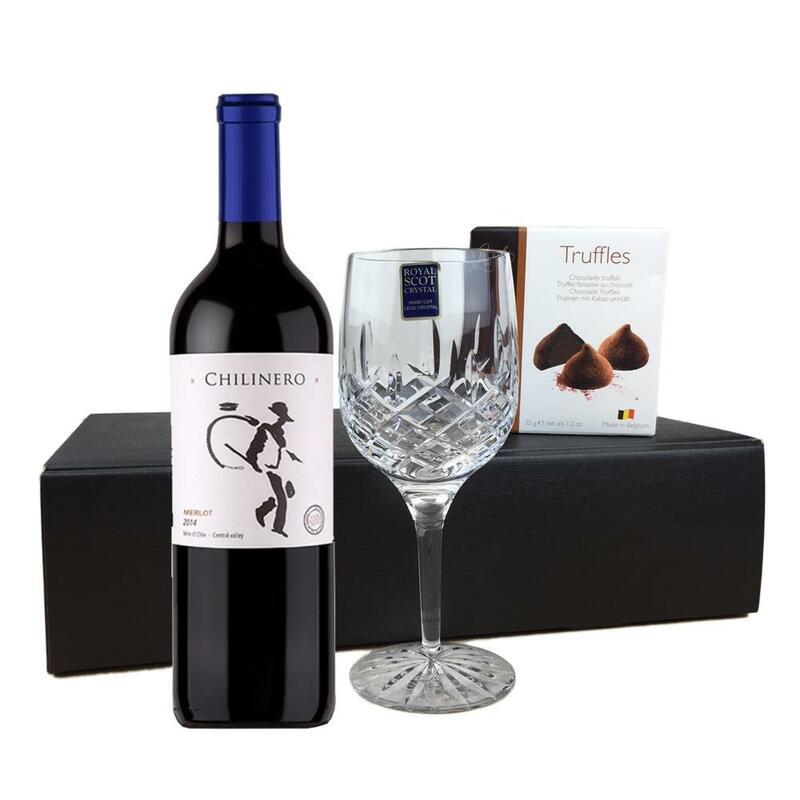 Buy this lovely gift box and get and get a bottle of Chilinero Merlot - Chile all packed together with a beautiful hand cut lead crystal Royal Scot Wine Glass And box of Hamlet Belgian Chocolate Truffles, presented in a lovely black gift box. Tasting Notes: Mouthfilling and smooth, with ripe sweet fruit flavours of plums and currants. The structure is generous, smooth and long.